MPA Students, it’s time to fuel up for finals! 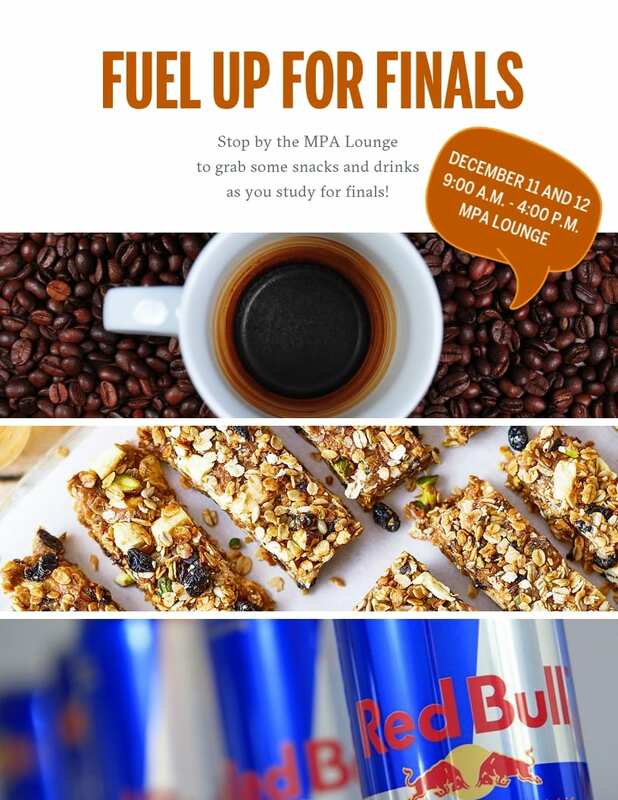 Stop by the MPA Lounge for a study break with snacks and coffee. It’s drop-in, so stop by when you have the chance and fuel up. We hope to see you on this week, and good luck on your finals!